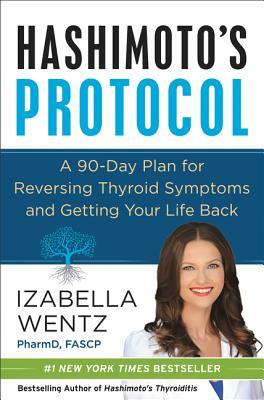 Dr. Izabella Wentz is one of the pioneering experts in lifestyle interventions for treating Hashimoto’s Thyroiditis. She was diagnosed with Hashimoto’s Thyroiditis in 2009. Trained as a pharmacist, Dr. Wentz was surprised at the lack of knowledge about lifestyle interventions for Hashimoto’s and autoimmune conditions, so decided to take on lifestyle interventions as a personal mission in an effort to help herself and others with the same condition. She self-published her first book, Hashimoto’s Thyroiditis: Finding and Treating the Root Cause in 2013. She has since launched a thriving online community of more than 200K “Root Cause Rebels,” empowering those diagnosed with Hashimoto’s or thinking that they may have Hashimoto’s to take charge of their health and find solutions that work for them. Her popular programs include one-on-one health consultations, a widely-read email newsletter, a Hashimoto’s Institute geared towards physicians and other practitioners, a 12-week self care program, and many more. Izabella Wentz currently lives near Boulder, CO with her husband Michael and their dog Boomer.